Posting the same old kinds of things on Facebook might get boring after a while, so why not spice things up with some fun animated GIFs? 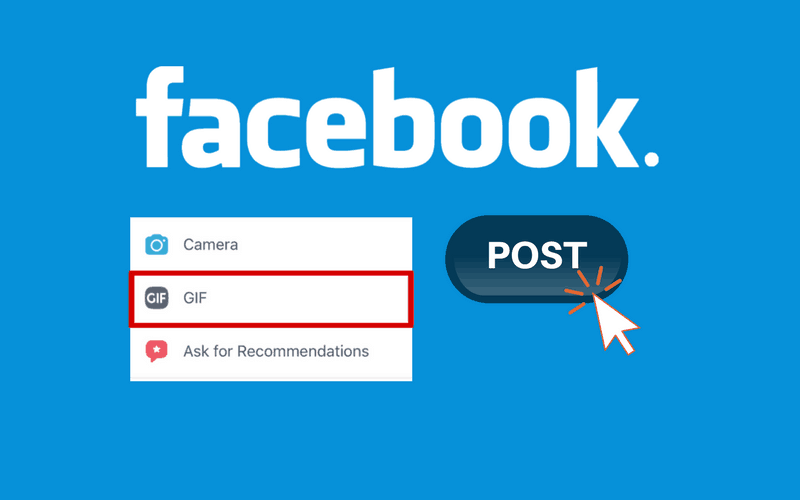 Facebook has added some awesome GIF-sharing features to their site, making it easy for users to share them with their friends in multiple ways. 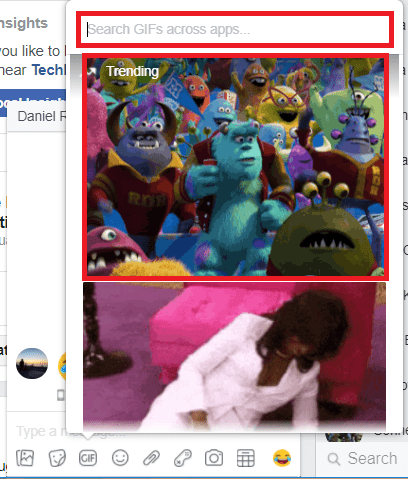 Want to learn how to use these new GIF Facebook features, or upload GIFs you’ve created yourself? We’ll show you how it’s done! To begin, we’ll show you how to easily share an animated image on your profile with the built-in GIF search and sharing feature. 1. Open Facebook.com in your browser and log in. 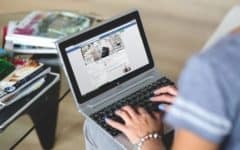 Using whichever web browser you prefer to use on your computer, navigate to Facebook.com. Then, log in to your account. 2. Click in the text box that says “what’s on your mind” to start creating a new post. Now, start making a new Facebook status as you normally would. At the top of the page, click the text box to begin. 3. Select the GIF option. In the options that appear below the text box in the new post window, you’ll see various options of things to add to your post. 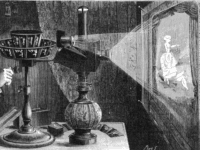 Click GIF to access Facebook’s database of animations. 4. 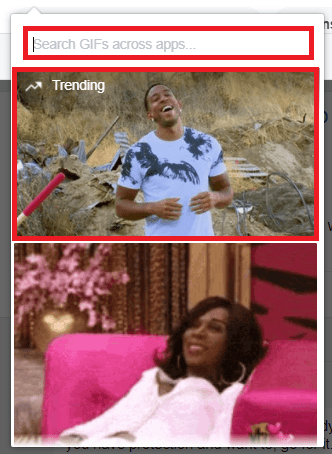 Find a GIF you like and click on it to add it to your post. In the pop-up window that appears, you can browse featured animations, or search for something more specific. Scroll through the featured images, or click in the search bar at the top of the window and type in what you’d like to find. When you see one that catches your eye, click the image to add it to your new status. 5. Add any other details you’d like to include, then share it to your timeline. If you’d like, you can add a caption, tag friends, add a location, or anything else you want to include in your post. Then share the post to your timeline as you normally would. That’s all it takes to share a GIF on your Facebook timeline. 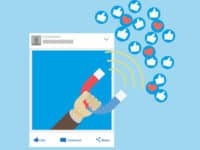 If you’d like to post one in a comment on someone else’s post, we’ll show you how to do that next. 2. Then click the GIF icon on the right. Within the comment text box, you should see a few different icons on the right side. 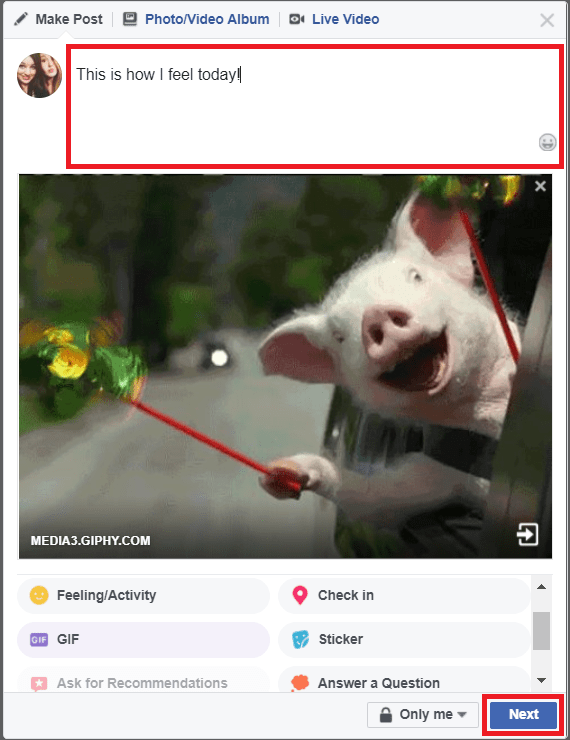 Click the GIF icon to access the browse/search pop-up menu, just like the one that comes up for posting a GIF in a status update. 3. 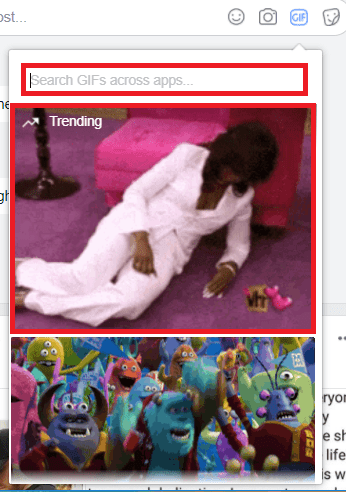 Search for and find an animated GIF you like, then click one to post it as a comment. Browse through the featured images that appear in the menu automatically, or use the convenient search bar to find images related to a certain topic. When you see one you’d like to post, click on it to share it. The image will automatically be shared as a comment when you click it, so be sure you’ve chosen the right one! 4. Write anything else you’d like to say in a separate comment. If there was anything else you wanted to leave in a comment, you can click in the comment text box and write a separate comment after you’ve posted the GIF you selected. You cannot add text to GIF comments – the images speak for themselves! Want to share a GIF with one of your friends without anyone else being able to see it? 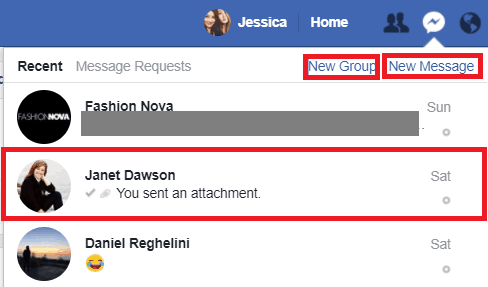 Luckily, you can also use a similar image sharing feature in private or group Facebook messages. 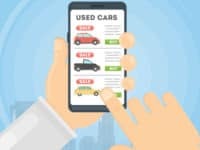 Check out the next section to find out how. 1. Go to Facebook in your browser and sign in. 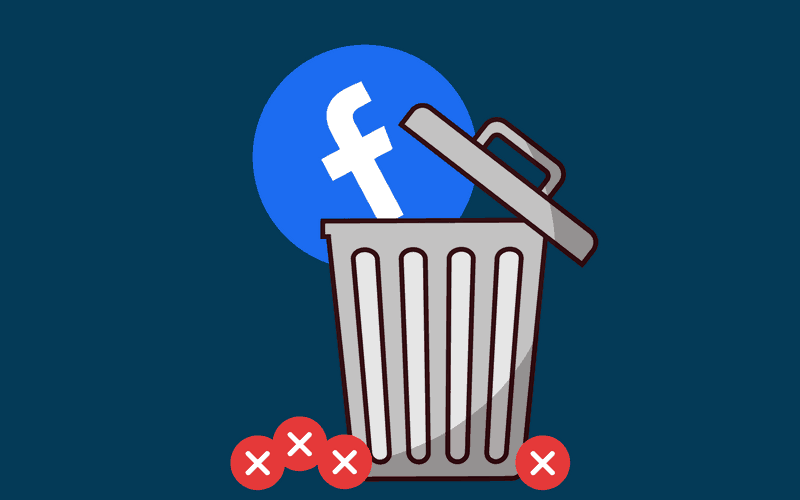 As usual, start by going to Facebook in your web browser and logging in to your account with your email address and password. 2. Click the Message icon at the top of the page. Near the top of the page on the right side, click on the Message button to access your recent conversations. 3. Select the conversation you’d like to send a GIF to, or create a new one. Click on a conversation to open it. If you don’t have an existing conversation with the friend(s) you want to share an animation with, you can create a new chat by clicking New Message (for one friend) or New Group (for multiple friends). 4. In the chat window, click the GIF icon. Once you open a conversation, you’ll see a small chat window pop up at the bottom of your screen. In the bottom menu bar, click on the GIF button. 5. Find a GIF you’d like to send by searching or browsing, and click on one to send it. Just like how we showed in the previous sections, you can now look through featured animations, or search for something in particular. When you find an image you want to send, simply click on it to send it to your friend(s). 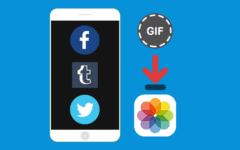 Those are all the three ways to use Facebook’s built-in animated GIF sharing features. 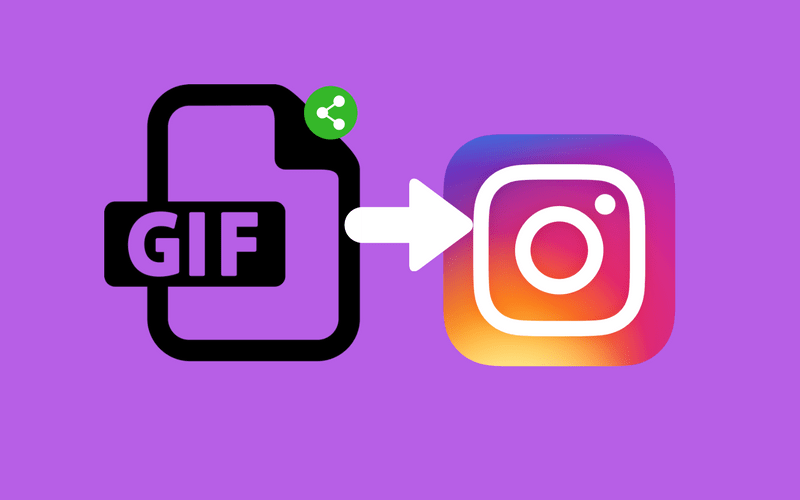 If you have found a GIF somewhere else online, or created your own and want to share them with your friends, we’ll show you how to upload existing GIFs to Facebook next. 1. 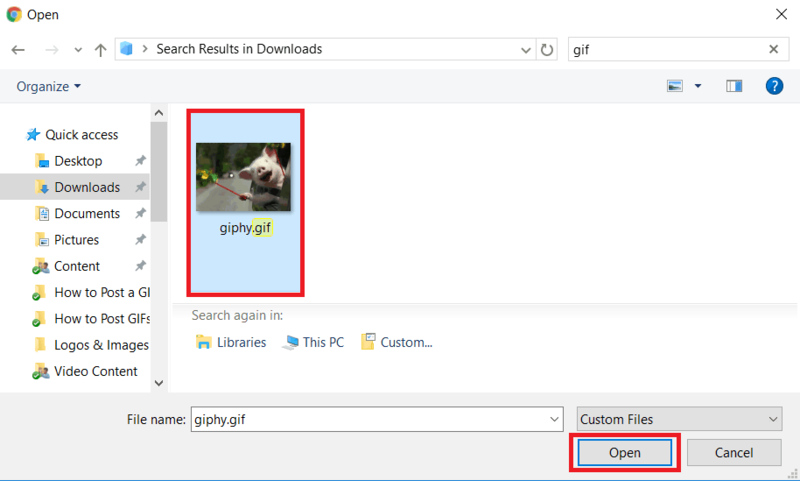 Find a GIF online or create your own and save it on your computer. There are many free GIF databases online, like GIPHY and Tenor. 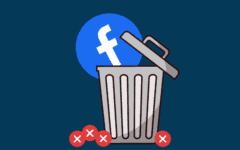 If you’ve found one on a site like these, or have created your own original animations (like with a YouTube video to GIF converter), save them to a folder in your computer so you can upload them to your Facebook profile. 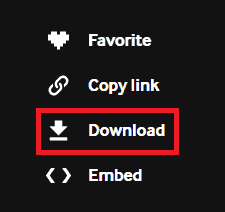 The steps to do this may vary from one source to the next, but most of these sites will either have convenient GIF download buttons – like the one shown below, from GIPHY – or allow you to right click on the image to save it. 2. 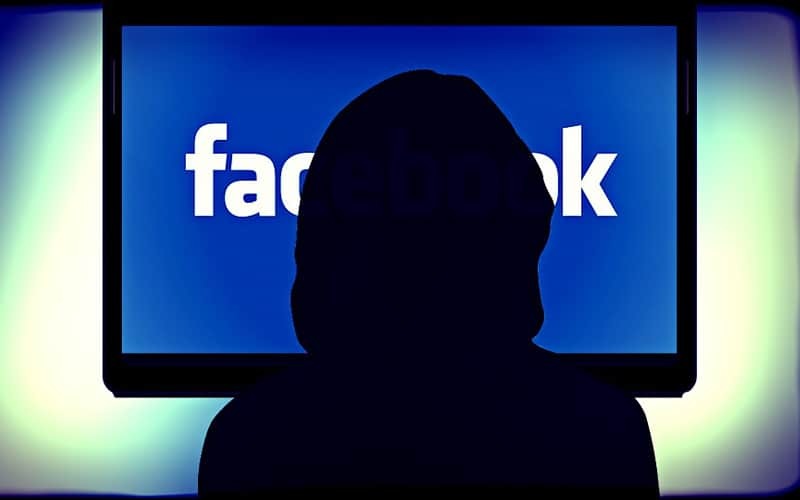 Open Facebook.com and begin creating a new post. Log in to your Facebook account and click on the “what’s on your mind” text box to start drafting a new status update. 3. Click Photo/Video at the bottom. 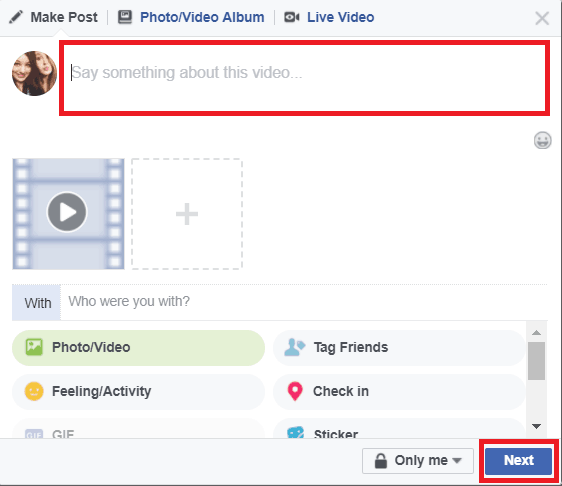 From the various options below the text box, select Photo/Video, like you normally would to post Facebook images. 4. Find the image file on your computer and click Open to add it to your post. In the window that appears navigate to the folder where you saved the GIF and click on it to select it. Then, click Open to upload it. 5. 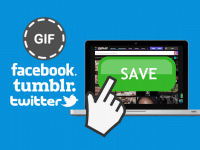 Share the GIF video to your timeline so your friends can see it! 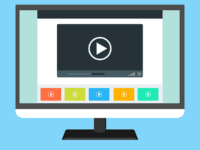 The animated image you’ve uploaded will be converted to Facebook’s video format, as you cannot post an existing animation in its normal format – it will automatically be posted as a video. Once you’ve added any other details you want to include, like tags, captions, etc. you can post the video to your timeline for your friends to see. If only an original creation will do, we have a guide on how to make your own custom GIFs using services like Adobe Photoshop, GIPHY, IMGflip, or Flixel Cinemagraph Pro. Our friends at HubSpot have compiled a list of 10 great websites to find GIFs on. That’s everything you need to know about posting GIFs on Facebook and how to share them in messages. 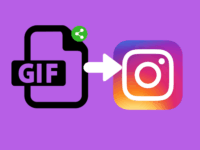 If you want to share these kinds of animations on your other social media, check out our tutorial on how to post GIFs on Instagram. If you’d like to learn about other cool things you can do on Facebook, check out our free course. We’ve also got amazing helpful tips and tricks for other cool things you can do with social media.